Dr. Ezra Newton Drier was born in Woodstock, New Brunswick somewhere between 1870 and 1872. 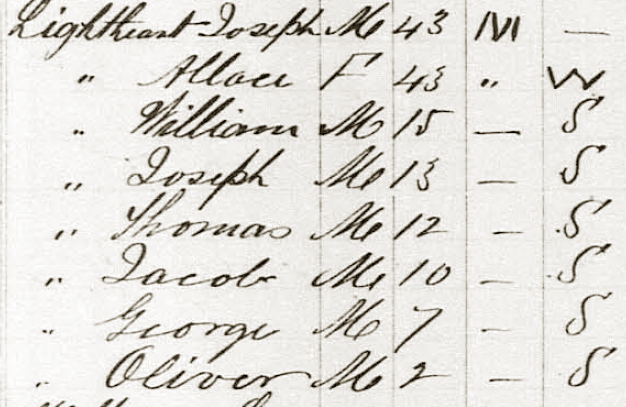 In the 1891 Census, when he was still living at home in New Brunswick he was shown to be born in 1871, although the 1901 entry says it was 1870. His second marriage in 1909 recorded his birth date as 1872, and his death certificate also said 1870. He arrived in Vancouver, as best we can tell from Street Directories, in 1901. 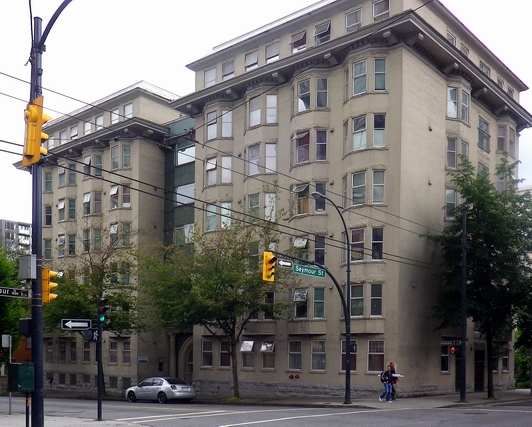 He practiced very successfully as a doctor, with offices on Pender Street and a home initially in the West End. Dr. Drier and his wife, Hope (also from New Brunswick) obviously also enjoyed travel. In 1902 he took over as the surgeon on an Australian liner, (owned by the Oceanic Steamship Company) the SS Moana, for a two month period. He hired W T Whiteway to design his house at 1101 Burnaby Street. In 1907 it was reported in the Vancouver World that “Dr. E. N. Drier, of Vancouver, lately purchased a very beautiful site on the Capilano river overlooking the last canyon in D. L. 593. This block of land and adjoining tracts is believed to be the choicest on the river for scenery and location, and also being a most suitable situation for a hotel or sanitarium.” We’re not aware whether he actually developed anything on this site. Early in 1909 Dr. Drier remarried, to Jessie Townsend Reid. 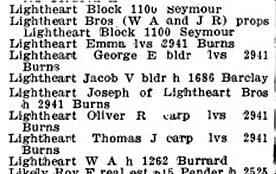 Jessie was the daughter of a Scot, John Reid, and Alice Cockayne, and was born in Port Townsend although by 1901 the family were resident in Vancouver. The family had a daughter, Francelle, in 1910, and a son, Newton died at birth in 1911. After his marriage he took an extended trip to Europe with his new wife, but took up his medical practice again in his return. 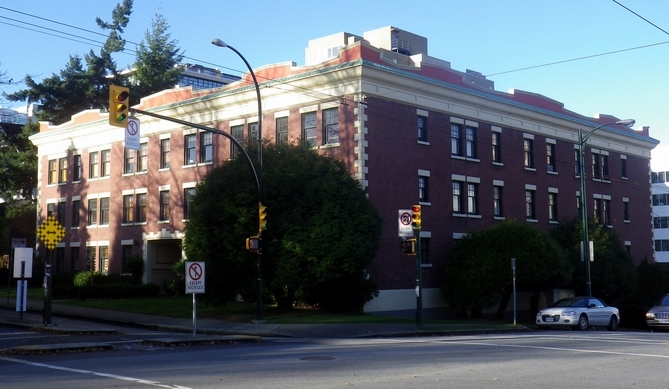 In 1911 Dr. Drier (wrongly identified as Dr. Driver in the Contracts Journal) was involved in the establishment of a company called Western Securities, who had Grant and Henderson design Hampton Court, a six storey apartment building built by J J Dissette at a cost of $100,000 (seen here in a 1975 Vancouver Archives picture). 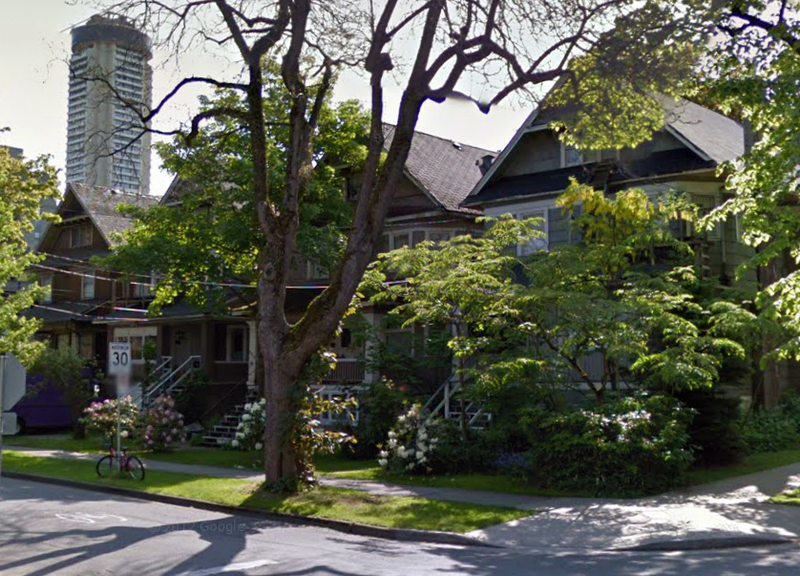 The 1243 Thurlow Street address is actually the same as 1101 Burnaby Street – so Dr. Drier demolished his nine year old home to develop the apartments. In 1916 he relocated to New Zealand, where he quickly gained a reputation of some importance. He was quoted in newspapers soon after his arrival: as a Canadian Dr Drier did not see many points in favour of a nationalised medical service (a proposal being debated in New Zealand at the time). In 1919 he was in Auckland, commenting on the Spanish influenza (which was, in his opinion, a separate illness and not really influenza). The family returned to Vancouver in 1932. There’s a substantial collection of items donated by Dr. and Mrs. E Newton Drier in the Museum of Vancouver, showing they spent some time collecting in South Africa and New Zealand. In the year he returned Dr Drier donated his collection of 750,000 shells to the museum, and there are other important ethnological items in the collection from the Driers. He took on the role of honorary curator of the items. 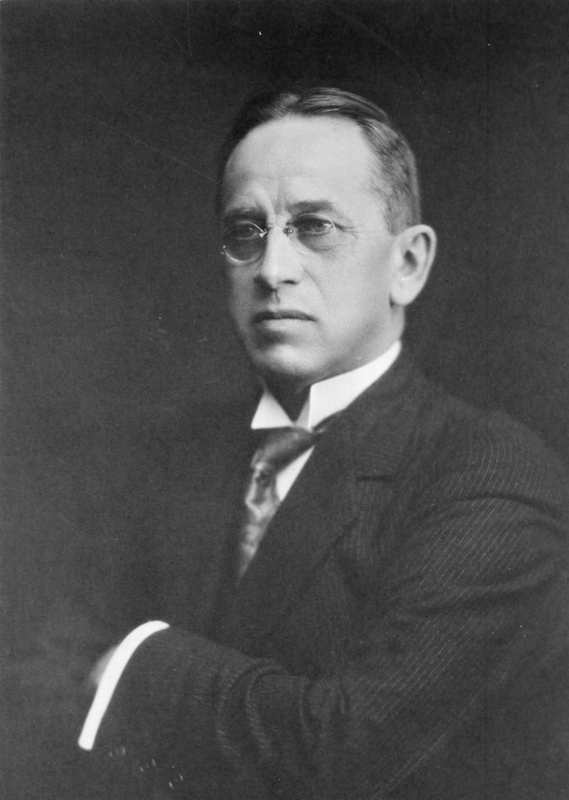 Ezra Newton Drier died, aged 70, in Vancouver in 1941. 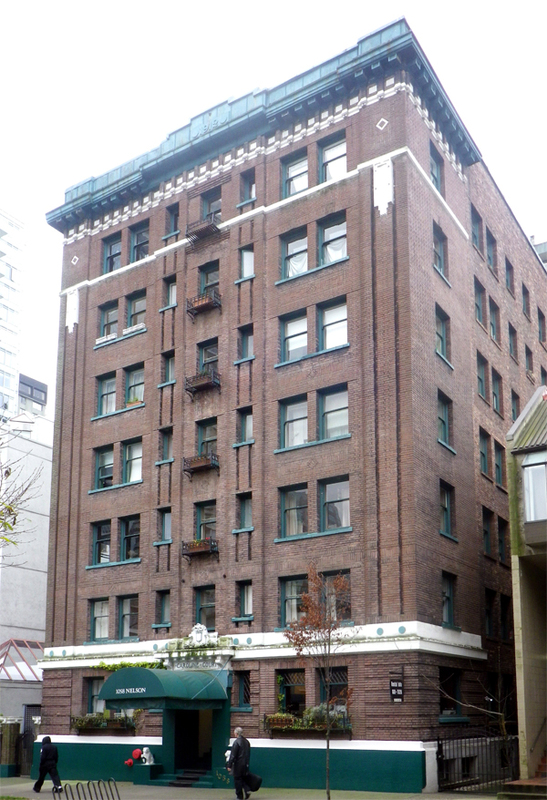 J M Pattulo only built one investment property in Vancouver, in 1911. 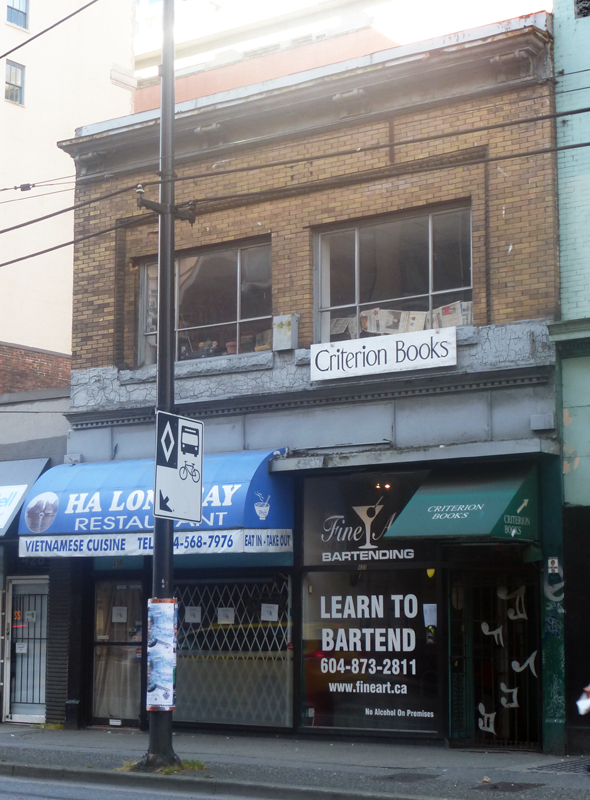 It’s still there, looking solid and impressive a century later, and Mr Pattullo’s story has connections to a number of other early investors in the city. James McGregor Pattullo was born in Alton in Ontario on December 29th 1869. His mother’s family had emigrated from Scotland in 1833 to Caledon; (Alton is a very small farming community close to Caledon). His father, one of 14 children, was also born in Caledon into a farming family who had emigrated from Musselburgh in Scotland some time not long before 1830. James was successful at school, and went to technical school (although we don’t know what he studied), supporting himself by working at the same time. Around 1887 he went to work for the Canadian Pacific Railway as a bill clerk in Owen Sound. In 1889 he went work as a cashier in Toronto and two years later to St Paul, Minnesota where he worked in the audit office of the Northern Pacific Railway Company. His next work was very different, in a woollen mill (probably owned by Reuben Smith) in Creemore, Ontario (a small rural town with, for no immediately apparent reason, a significant link to early Vancouver). His parents had moved there in 1884. He spent two years there, then went back to the railway company in St Paul for another two years. In 1899 he made the move westwards, working for five years as secretary of the YMCA, initially in Spokane and then for four years in Tacoma. He married Caroline Harrold (born in Georgetown, Ontario) in Spokane in 1899, and two daughters were born there; Mary in 1901 and Ruth in 1902. Caroline’s parents are described as “well known pioneer settlers of Fargo, North Dakota” where they ran stock on several thousand acres. 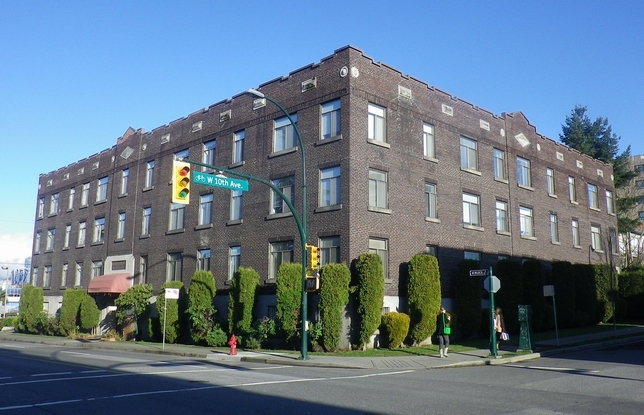 His final move was to Vancouver in 1905, where he is initially recorded as the manager of the Pacific Box Factory, living at 1066 Nelson Street. In 1906 he was a signatory on a petition protesting the threatened loss of company lands on False Creek. Between 1907 and 1908 his status changed from manager to proprietor of the company, and in 1908 a third daughter, Winifred was born. 1911 was clearly a big year for the family. They moved to a new address, 1230 Comox (indeed, to a new house as it was built in 1910). James was now listed as ‘retired’ – not bad for a 41 year old man with three small children. 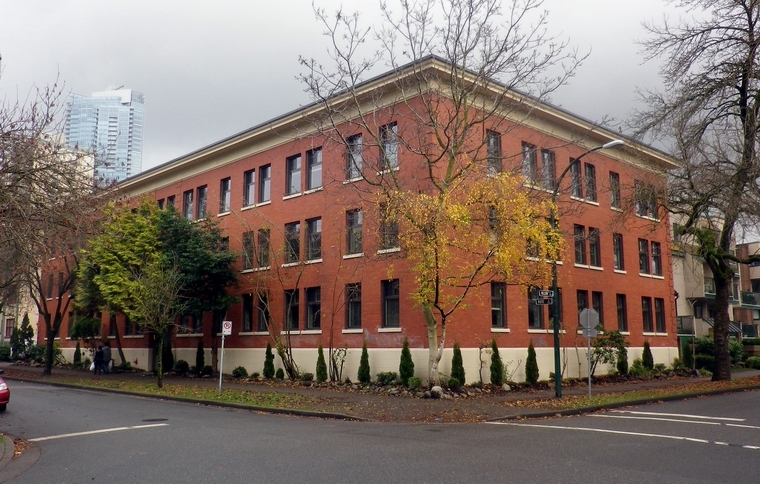 (Actually, he joined the Northwest Trust Company, Limited in that year, and subsequently became Vice President).The architect for his new house was J P Matheson, who lived next door at 1242 Comox in a house he designed that was also completed in 1911. Across the street at 1205 Comox was R V Winch. The family had Caroline’s mother, 80-year old Mary Harrold living with them, and a servant, Ada. It is likely that the family fortunes changed after Caroline’s father died, aged 80, in 1909. 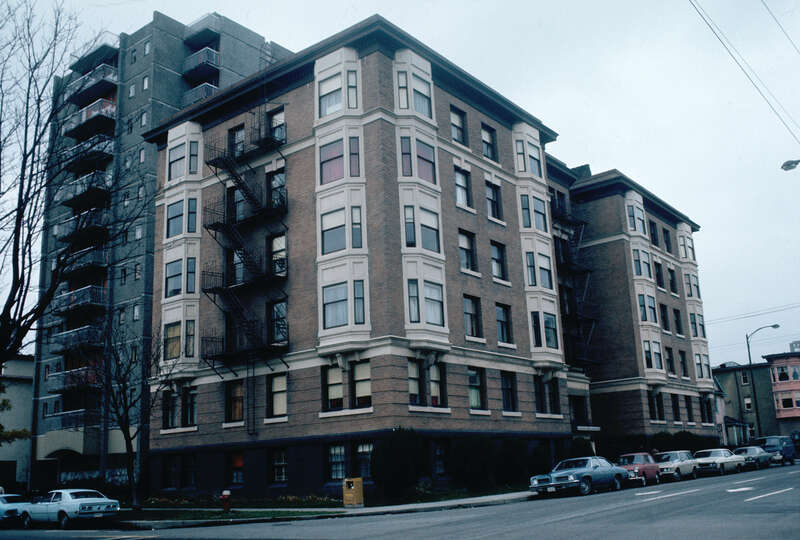 A year later Matheson’s design for a substantial seven storey apartment building was completed. Built by the Dominion Construction Company, ‘Caroline Court’ costs $150,000 to build, and is presumably named after Caroline Pattullo. 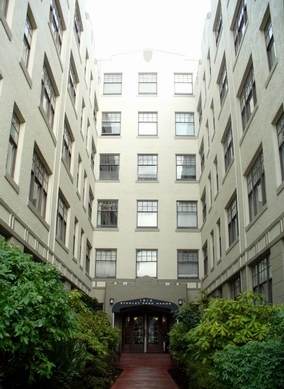 The family stay at the Comox address until 1916, when they’re shown as resident in suite 70 of Caroline Court. 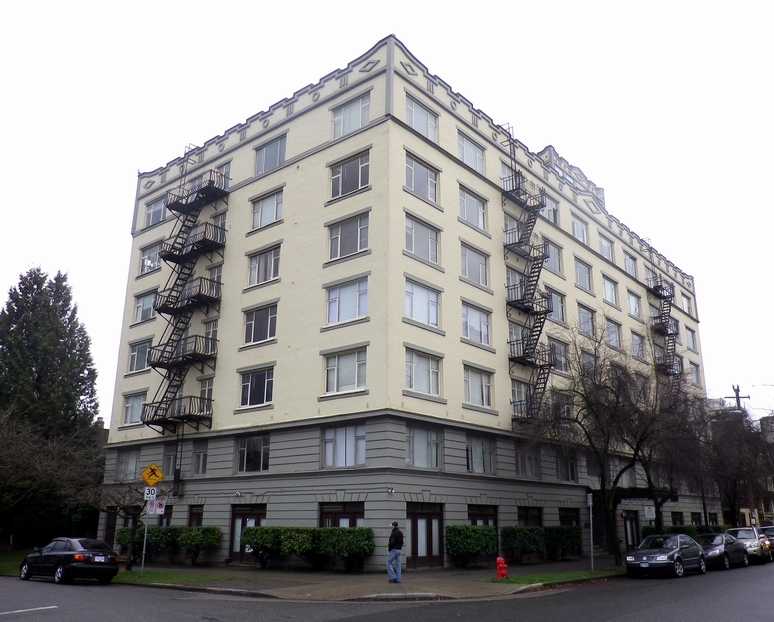 By 1920 another James Pattullo had moved into the building to suite 50. James Burleigh Pattullo was a barrister who had practiced in Vancouver for a number of years, and came from the same Ontario family as JM (their grandfathers were brothers). James B Pattullo’s younger brother, Thomas Dufferin Pattullo had also moved west, living in Prince Rupert, from where he was later elected to the Provincial Legislature and in 1933 became Liberal Premier of British Columbia. James and Caroline lived for many years in Vancouver. Two of their three daughters married, Mary, in 1924, (and she may have had her own adventures as it seems likely she went to Bolivia in the year she married, as a missionary). She died aged 30 in Vancouver. Winifred, who also married, died in 1970. Caroline Pattullo died, aged 77, on 21 January 1942. James died six days later, aged 72.